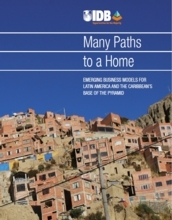 A new study by the Inter-American Development Bank (IDB), Many Paths to a Home: Emerging Business Models for Latin America and the Caribbean’s Base of the Pyramid, offers a fresh perspective on the existing business models to provide housing solutions to low-income families. The report analyzes and presents promising business models financed by the IDB’s Opportunities for the Majority that are enabling companies and other organizations to provide services and products to the base of the pyramid (BOP). Families at the BOP are investing up to $56.7 billion every year in housing, which confirms the purchasing power of this segment. The continuous growth of low income neighborhoods and informal settlements—especially in the urban periphery—demonstrates that BOP families have the capacity and willingness to improve their houses. The heterogeneity of the BOP housing market demands customized products and approaches. Incremental housing solutions are how most of the region’s BOP currently builds a house. This approach can be adapted to different contexts and is affordable for most of the people at the BOP, including the informal sector, a segment that suffers from lack of financing. The report shows that the private sector can play an important role in providing quality housing solutions that are tailored and affordable for families in the BOP. The cases analyzed present solutions that include both complete and incremental housing, showing that BOP families can afford a loan for the construction or improvement of their homes, provided that financial products that take into account factors such as low wages, lack of appropriate collateral and a fluctuating income. The micro mortgage and lease to own models depend on the existence of long-term capital to finance mortgage portfolios and the presence of developers of affordable housing well regulated. The micro mortgage model, as well as the basic housing (construction of a basic house in the family’s plot) depends on a continuous supply of direct government subsidies demand. The housing improvement model (one that supports the incremental construction process), is subject to high rates of home ownership and a large informal sector, both of which are common throughout the region. Factors that favor this model is a dynamic microfinance sector that contributes to the provision of finance to improve housing and economic growth is benefiting the BDP revenues, thus increasing the potential of BDP to invest in home improvement. 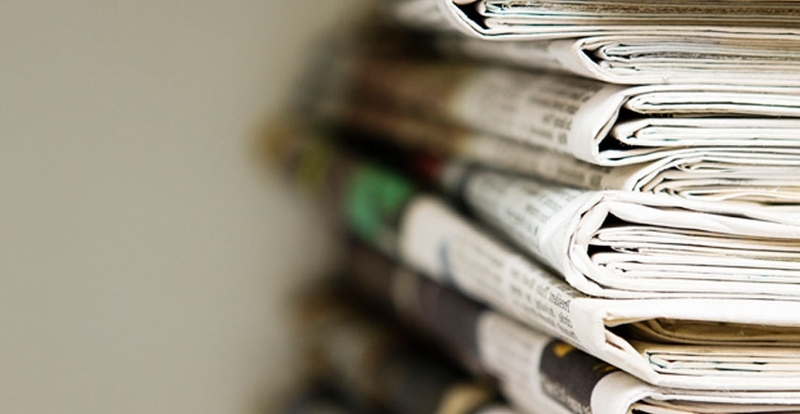 Among private sector actors are analyzed in the study are developers, construction material suppliers, and non-governmental organizations in the housing sector and financial institutions. All these companies and organizations operating in five countries and with different business models, are demonstrating that it is feasible to serve the BOP segment and have a return at the same time. “The report will be a useful tool for policymakers, the private sector and financial institutions interested in learning more about the housing market of the BOP in the region, with detailed descriptions of the factors behind the success of the different models who have responded to various market conditions”, said Luiz Ros, Manager of Opportunities for the Majority. The study poses important questions for the future, as greater numbers of firms and organizations invest in what until now has been an under-served market, participating in a dynamic, market-based approach aimed at satisfying the region's need for quality housing. Opportunities for the Majority promotes and finances market-based, sustainable business models that bring together companies, local governments, and communities in developing and supplying quality products and services to people at the base of the socio-economic pyramid in Latin America and the Caribbean.